If I’m Approved for SSD, Will My Benefits Ever End? If I’m Approved for SSD, Will My Benefits Ever End or Continue Forever? 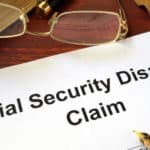 Getting approved for social security disability (SSD) can be a long process for some individuals. And if there is an initial denial, the process can get even more drawn out. In this situation, it is best to get a lawyer involved to expedite the process and improve chances of being approved. But once someone is approved for SSD, will benefits ever end, or do they continue forever? This is a common question for those seeking approval and for those who are still fighting to get approved for benefits. After all, once an approval from the Social Security Administration (SSA) is secured, it is comforting to know what to expect. The answer of how long benefits will last once approved for SSD isn’t the same for everyone. For some, benefits will last indefinitely, for others, they will expire. The difference lies within the categorization of the benefits once they are approved. There are essentially three buckets that the SSA puts every case into, with each one having a different post-approval expectation of benefit continuation. A case that is classified as Medical Improvement Expected is very much how it sounds. Individuals who receive this classification will be given a continuing eligibility review after approximately six to 18 months of receiving benefits. The purpose of that review is to see if the individual’s condition has improved to the point of them being able to return to work. If the SSA determines that they can return to work, the benefits will discontinue. However, if the condition hasn’t improved, the benefits will continue and there will be another review performed in another six to 18 months. If the case is labeled as Medical Improvement Possible, it means the SSA has determined that it is possible that the individual can recover, but not probable. Due to this, there is still an eligibility review that is performed, but the timespan between exams is greater. The individual can expect to participate in the eligibility review every two to five years. Cases labeled as Medical Improvement Not Expected are assigned to individuals whose condition is not expected to return to a point where they can work again. However, there is still an eligibility review that takes place every five to seven years to ensure that the individual is still unable to work. These conditions are often long-term that would prevent an individual from working for the rest of their lives. In this scenario, benefits continue until retirement age, at which point they turn into Social Security Retirement benefits. It is vital to know that if the SSA determines that an individual can return to work, this decision can still be appealed. It is often the case that someone does not agree and cannot physically return to work, even though it was determined they can by the SSA. As with an initial appeal, eligibility appeals have the best chance if an attorney is involved. If you have been initially denied or if the SSA has determined that your current benefits will be ending, get the professionals at Tabak Law involved. The consultation is free and there are never fees until you win.